Tennessee is a southern state in the United States. It was the 16th state to join the Union and is sometimes known as "the Volunteer State" - a nickname that it gained due to the prominent role of volunteer soldiers from the state during the War of 1812. 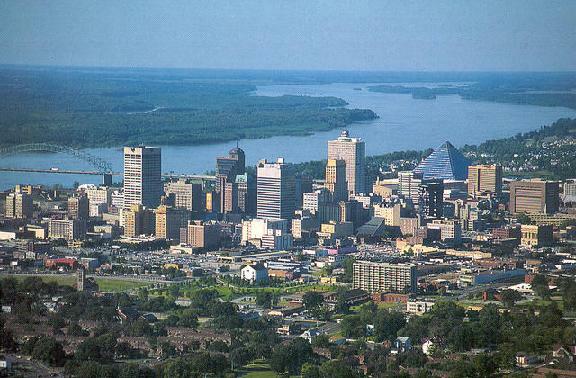 The capital city of Tennessee is Nashville, and the state's largest city is Memphis. Other cities in Tennessee include Athens, Bartlett, Bristol, Chattanooga, Clarksville, Cleveland, Collierville, Cookeville, Franklin, Germantown, Hendersonville, Knoxville, Jackson, Johnson City, Kingsport, Maryville, Morristown, Murfreesboro and Oak Ridge. The state is known nationally, and indeed internationally, for its musical connections, and it is to the music industry that many of Tennessee's tourist attractions are connected. In Memphis, you will find Elvis Presley's former home (now a museum), Graceland, and Nashville, there are many sites of interest to country music fans, including the Country Music Hall of Fame and Museum, Country music fans will also want to check out Dollywood in Pigeon Forge, which is named after the country singer and actress, Dolly Parton, and is home to the the South Gospel Museum and Hall of Fame. 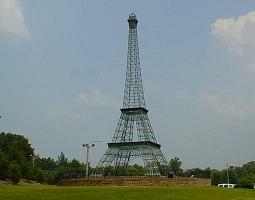 Other sites that you will want to visit in Tennessee include the Eiffel Tower Replica in Paris, which not quite on the scale of the original in France, is 65 feet (20 meters) tall, and the Parthenon in Nashville, which is a full size reproduction of the original in Greece. Leading education institutions in Tennessee include the University of Tennessee (in Knoxville) and Vanderbilt University (in Nashville). Professional sports teams in Tennessee include the Chattanooga Lookouts (Southern League baseball) in Chattanooga, the Memphis Grizzlies (National Basketball Association) in Memphis, the Memphis Redbirds (Pacific Coast League baseball) in Memphis, the Nashville Predators (ice hockey in the NHL) in Nashville, the Nashville Sounds (Pacific Coast League baseball) in Nashville, the Tennessee Smokies (Southern League baseball) in Kodak, the Tennessee Titans (American football in the NFL) in Nashville, and the West Tennessee Diamond Jaxx (Southern League baseball) in Jackson. Some of the leading companies with their headquarters in Tennessee are AutoZone (in Memphis), Caremark Rx (in Nashville), FedEx (in Memphis), Firestone Tire & Rubber (in Nashville), HCA (in Nashville) and the Gibson Guitar Corporation (in Nashville). Major airports serving Tennessee include Memphis International Airport in Memphis, and Nashville International Airport in Nashville. Places to visit in Tennessee. Books with travel information for Tennessee. Information about skiing for Tennessee. Towns and cities in Tennessee.